Looking forward to seeing how your plan develops. I’m definitely not good at attracting new readers. I’m hesitant to tell people about my blog, partly because I’m never sure it’s worth reading, partly because health issues mean I’m sporadic, but mostly because it feels pushy and obnoxious. The trend seems to have let up a bit, but for a while it seemed I couldn’t turn around without someone — strangers, acquaintances, people who ride the same buses that I do — urging me to take their card, visit their site, read their blog. A few even “helped” me by taking my phone and pulling up their sites for me. Ack. I’m sorry to hear you have health issues, Ruth. Yes, I’ve run across bloggers who are pushy about their sites, too. It’s one thing to let people know that you write about topic X, but I never want to cross that line and be obnoxious about it either. If you’re interested, I’ll let you know which techniques are working for me after I’ve had some time to test some stuff out. OF COURSE I’m interested! Thank you. I am completely committed to using you and your site as role models. I’d really like to hear from other people who have found ways to let folks know about their sites without wearing flashing neon. I should say that I have also come across people who do manage gracefully to make it known that they happen to have dropped a post about just this or that very topic. I seem to lack that grace however. I’m glad you’ve opened up comments on older posts. 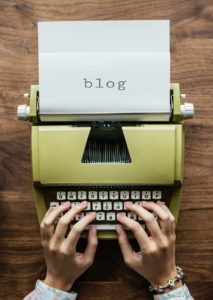 Engaging in conversations with readers seems to be a good way of keeping them once they’ve found your blog. I occasionally get comments on old posts. People also visit my blog because of comments I’ve made on other people’s blogs, so that’s another way of finding readers. There’s tonnes of websites out there to help with blog traffic and social media, you just gotta keep going ’til you figure out what works! I tried keeping my comments open indefinitely, but spam was overwhelming. Combatting it was a nightmare of blocking IP addresses, email addresses and certain phrases. Now? I leave comments open for 2 months. That seems to be plenty of time for discussion and I get far less spam. That sounds like a nice amount of time. I’ll have to keep that in mind if the spam gets to be too bad again!